The family of the Carla Stefaniak murdered in San Antonio de Escazú, San Jose, has filed a lawsuit in U.S. court against Airbnb and the owners of the Le Mas de Provence, where she stayed in Costa Rica. The suit alleges Airbnb and Le Mas contributed to her death by employing a Nicaraguan in the county under an “irregular migration condition”(other words for illegally) and giving him access to all units. 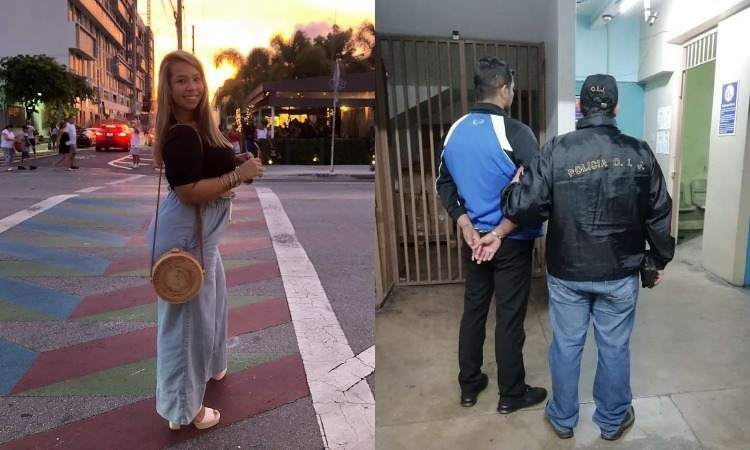 The security guard, 32-year-old Bismarck Espinosa Martinez, was arrested in Stefaniak’s death the same day, December 3, when her half naked body wrapped in plastic bags, partially buried in dense vegetation, was found a short distance from the property. Stefaniak’s family reported her missing on November 28, the day she was to arrive back in Florida after a week’s vacation in Costa Rica. The Organismo de Investigacion Judicial (OIJ) believe Martinez is their man, first raising their suspicion when his story that the Stefaniak had left early on the morning of the 28th. Investigators could not corroborate his version, arresting him following the discovery of the body and the right to search his room, adjacent to that of the victim. Martinez is currently in jail on preventive measures (remand). The Tampa Bay Times reports the lawsuit was filed in Hillsborough County courts on Thursday. The lawsuit was filed on behalf of Stefaniak’s two brothers by Tampa attorney Jeffrey “Jack” Gordon. The lawsuit claims the online rental agency failed to conduct background checks on the staff at the complex before adding the resort to its roster of online rental properties and that it also misrepresented the accommodations by deleting negative guest reviews on its site. “While defendant, Airbnb, posted complimentary and positive reviews of the resort property and its hosts, there are and were multiple reports since 2013 of guests who encountered bad experiences and recounted being victimized by personnel affiliated with the resort that Defendant, Airbnb sanitized from its own promotions and advertising materials,” the lawsuit states. travel advisories issued through its Bureau of Consular Affairs have warned for several years that violent crime such as armed robbery and assault is common in Costa Rica. The lawsuit also states that neither the owner of the property nor Airbnb communicated to their customers the U.S. Department of State travel advisories warnings that violent crime such as armed robbery and assault is common in Costa Rica. “The warning also states that local police lack resources to respond effectively to serious criminal incidents,” the lawsuit states.